Readers of this Blog may wish to know that Dr Raymond Casey died earlier this week, aged 98. He was famous for his remarkable collections of Russian Post Offices Abroad and Russian Imperial Ship Mail. He was still adding to the latter collection as recently as this month. One of the nice things about collecting is that you can decide to collect anything you like and you alone make up the rules which say what is inside and outside your collecting field. But I am afraid I do expect collectors - and dealers - to understand something about collectible objects. Those objects start their histories outside of our collections and when they arrive in our collections, one of our responsibilities is to conserve them in the best state we can, so that they endure and can pass on to others. In this, our collection - however modest - is like a museum collection. It is a small part of a heritage - sometimes our own, sometimes somebody else's - and we should look after it. 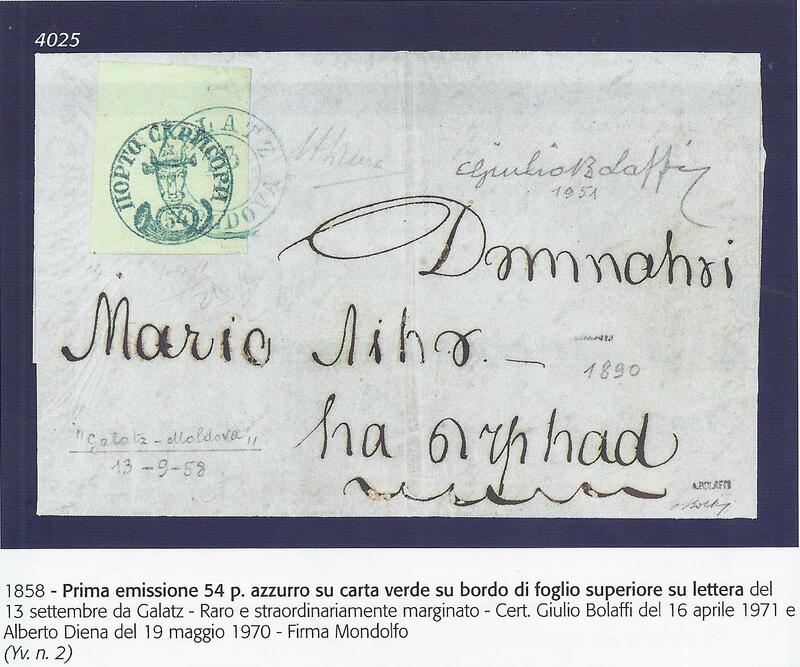 This is better understood now in stamp collecting and postal history than it once was. Most collectors no longer put hinges on anything, stamps or postal history items, and they no longer write on them as if they were scrap paper. Dealers still scribble prices on covers and cards and they need to be told not to. Some damage - however minor - is always caused when those prices are rubbed out by a collector or the next dealer along. Because these things have only been understood in the recent past, we inherit a great deal of vandalised material. Different philatelic cultures have different traditions, some worse than others. 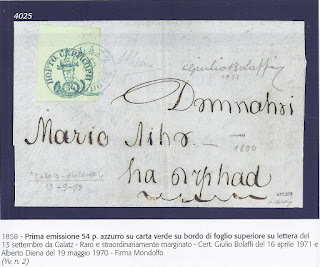 Italy is home to one of the worst philatelic cultures from the point of view of understanding and valuing the collectible object and I feel sorry for collectors there who have to live with the legacy of their past. Compare them carefully: some new graffiti have appeared and some old ones have been removed. The latter is a warning: where the old graffiti have been removed, there will be surface damage to the letter. The letter is estimated at 7500 euro. I am always on the look out for Bull's Heads but I won't be bidding. There is too much unattractive damage here to what was once - a very long time ago - a very desirable collectible object. Unfortunately, it fell into the hands of people who I don't think understood that. 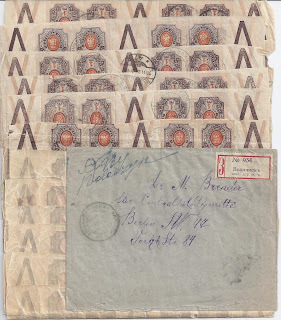 Inflation covers are popular with collectors and would be more popular if there was not one problem: a large proportion of inflation covers are not complete. At some point, a dealer or collector has decided to remove a stamp - just one - or maybe a block of four needed for an album page. Sometimes it is not immediately obvious from where the stamps / s have been removed. So buying inflation covers is a time-consuming business; you have to check each one. The cover above is complete. It was Registered from VOLOCHISK ZHEL DOR P. O. 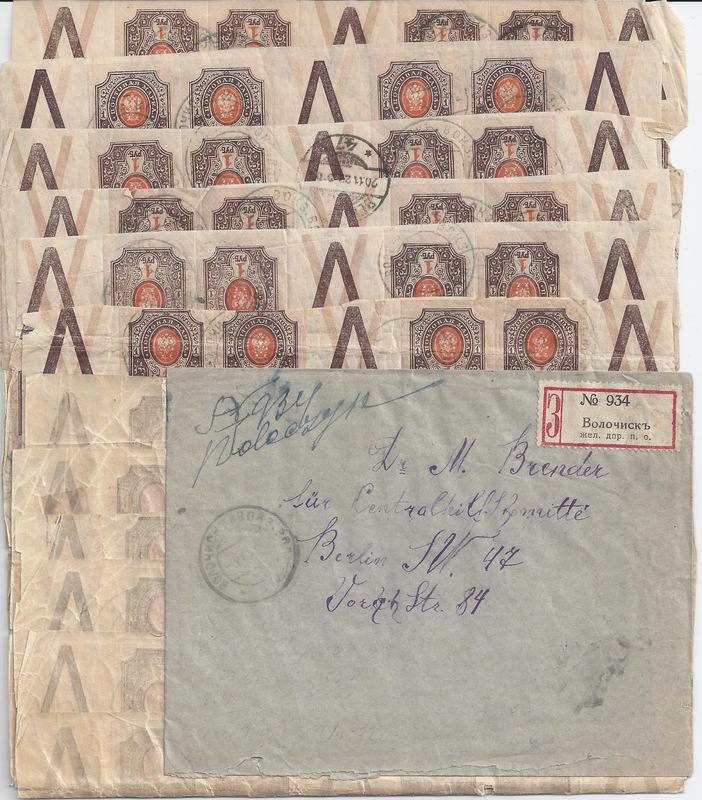 - Volochisk Railway Post Office and addressed to Dr Brender in Berlin. There is a Berlin 47 receiver cancel for 20 11 22 - you can see it towards the top of the image in the middle. The Volochisk cancels are weakly struck and even though there are about 300 of them, I hesitate to identify the day in November when this letter was sent. It is franked correctly at 300 roubles, the Foreign Registered tariff introduced on 3 November 1922. The franking is provided by six complete sheets of 1 rouble imperforate Imperial Arms stamps, each sheet comprising 50 stamps. I suspect the addition of all these stamps to the envelope would have actually taken the letter into the second or third weight step and I sometimes wonder if there were clerks who tried then to charge additional weight step postage for the postage stamps they had stuck on the envelope and so on ad infinitum. The cover above nicely illustrates just how disruptive inflation could be at the post office counter when not matched by appropriate stamp supplies. Three hundred stamps are used up here, each sheet laboriously attached to the envelope and each stamp separately cancelled. In addition, there must have been temptation at times for postal workers to steal such exotic looking covers in transit. Somewhere someone must have recorded what is believed to be the largest number of adhesives attached to a single RSFSR cover of the 1917 - 23 period. Can anyone tell us what it is? The area we know as Alaska was claimed by Imperial Russia in 1741 and rented out to the Russia-America Company in 1799 which then managed it, an arrangement similar to the way that some British colonial territories were managed by private companies. In 1867, Russia sold Alaska to the USA. For some collectors, mail from or to Russian Alaska is a Holy Grail. Back in 1960, Tchilingirian and Stephen devoted two pages to "Russian America" in Part Six of their Stamps of the Russian Empire Used Abroad. At the end of their two pages, they write "no material known so far"(page 496). Nowadays, the Internet makes it easy to establish that letters from Russian Alaska exist, notably in museums and archives in Finland, since Finns were very active among the sailors, traders and adventurers who made their way to Alaska. But I do not know if anyone has studied the letters for postal markings - if the letters were entire letters then they would be addressed and probably show some markings. The letters are referred to in historical studies of the colonisation of Alaska. The letter is written in German (or possibly some mix of Swedish and German - it is hard for me to read) and the writer is Henrik Johan Holmberg (1818 - 1864), a Finnish naturalist, geologist and ethnographer who is known to have travelled to Alaska in 1850. 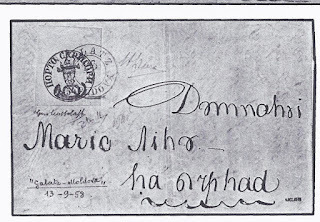 He is writing from New Archangel [Novo Archangelsk] also known as Sitka even then - see the heading to the letter - on 1 May 1851. It is known that the Russia-America Company's ships departed to Alaska from Kronstadt and returned there. The routes varied, but late April / early May appears to have been a period at which ships departed Alaska for the five or six month journey to Russia. Weather would have been the major factor in deciding sailing dates, both ways. The letter is addressed to Anders Olivier Saelan (1818 - 1874) in Helsingfors. Holmberg and Saelan were born in the same year and my guess is that they went to school together. Saelan was a pioneer of technical education in Finland. 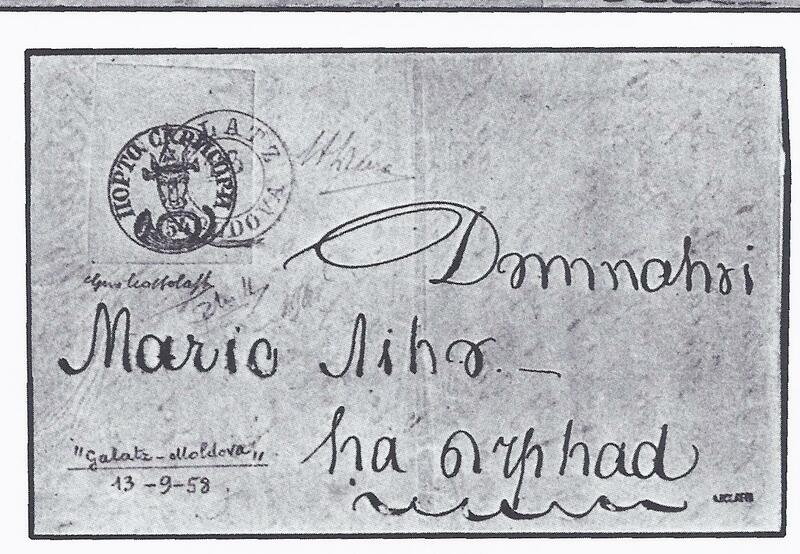 Note that the address is written first in Cyrillic and then in Roman. My guess is that this letter travelled on a Russia-America company ship headed for Kronstadt, where the letter was either put into the Imperial Post or transferred as just one in a bag of letters to St Petersburg, where the bag was opened for sorting and cancelled on 19 September 1851. There are two rate markings: a "10" on the front and a "60" on the reverse. These appear to be written in the same hand with the same pen. I invite experts on the matter to interpret these markings. 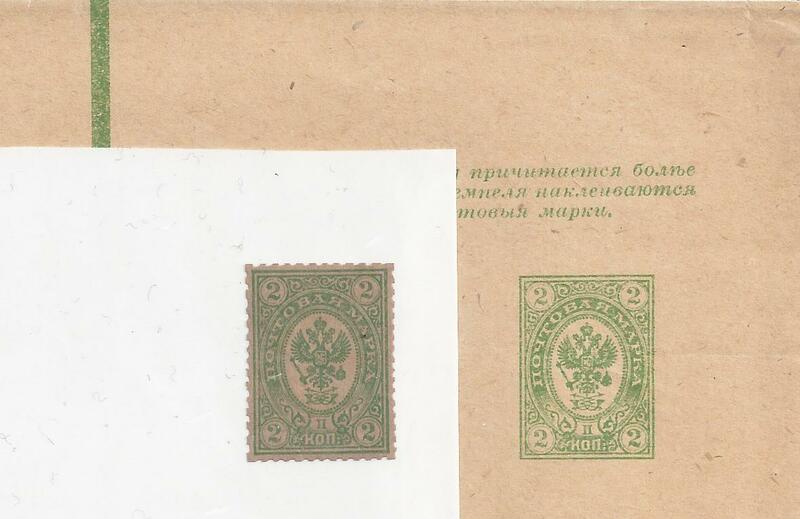 Registry markings for Imperial Russian official mail take the same form, but normally are at bottom left of letters from this and later periods. Alaska, of course, was not under Imperial administration but systems may have been similar. I do think the "No. 514" is a Registry mark and I put forward the hypothesis that it was applied in Alaska for one of two reasons: either to indicate that it was an item of Russia-America company mail or for more general book-keeping purposes related to the fact that mail could have been handed in at the company offices at any time but would have to sit there and wait for a ship that could take it away -and such ships probably only departed a few times a year, or even less than that. The "No. 514" could function to indicate (for example) that Holmberg had paid the fee for carriage of his private letter, since to the best of my Internet-based knowledge, he was not a company employee. 1851 Entire Letter from Novo Archangelsk, Alaska to Helsingfors with transit cancellation of St Petersburg, very very rare and a bargain at its hammer price of 15 500 euro. Imperial Russia 2 kopeck - a Bogus Essay? Has anyone got a better ( = true) story?